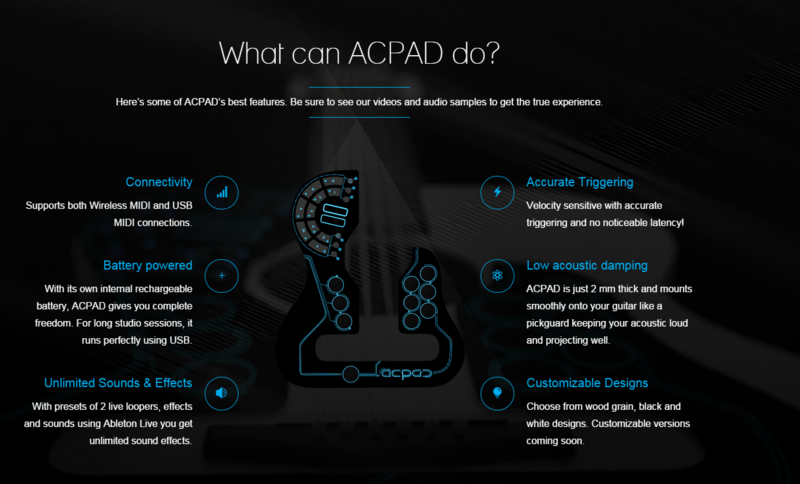 ACPAD (pronounced ACK-PAD) is the brainchild of Berlin musician Robin Sukroso, who needed a piece of equipment that would allow him to bring his love of electronic and acoustic music together. This is perhaps the first MIDI controller for acoustic guitars. For those folks who were not into sythesizer and electronic music devices back in the 1990’s, MIDI stands for Musical Instrument Digital Interface. It was a platform agreed upon by several major producers of electronic musical equipment, such as the Roland Corporation and Yamaha among others. The ACPAD is a 2 mm thick stick-on interface that resembles a flat top guitar pickguard, only this device includes built-in effects using Ableton Live music production software. This software supports wireless MIDI and USB MIDI connections, and they all paired with two preset live loopers. It also includes pads for drum sounds that can be triggered through your fingers. The device is powered by a rechargable battery. 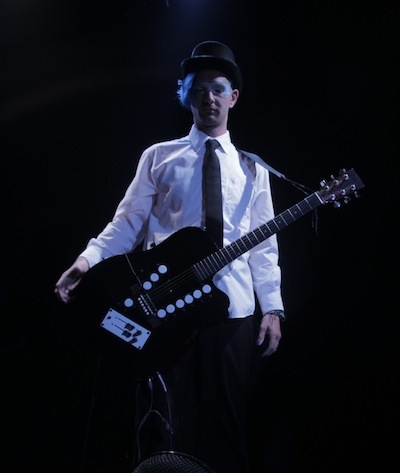 The ACPAD allows the performer to use acoustic sounds matched up with electronic guitar sounds. If that is not enough, realistic drum sounds are thrown in for good measure. For studio performance, the unit can be powered by USB connectors. I have to say I have never seen a device that can perform like this does. The inventor is marketing this through a kickstarter campaign. The price is yet to be determined. Those people are like to enjoy their life with music they can try this guitar in here. I hope most of them are know about this and they also use also this products. So we can take this one from here.